We want YOU to be on the next LIVE ALBUM!!! 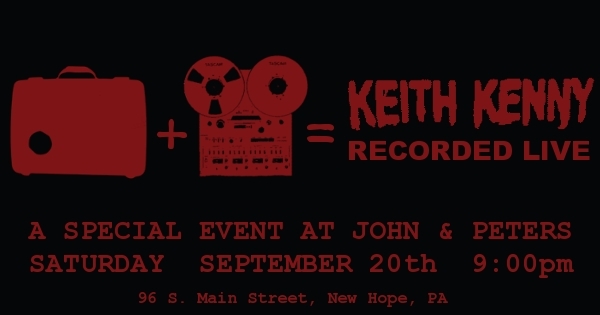 Join us at John and Peter’s on September 20th to catch two full sets recorded live for Keith’s next release. FREE ADMISSION!